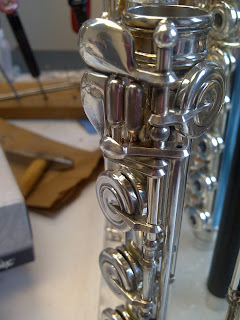 Is your flute tarnished? Ever wonder how to remove the tarnish and bring back the shine? 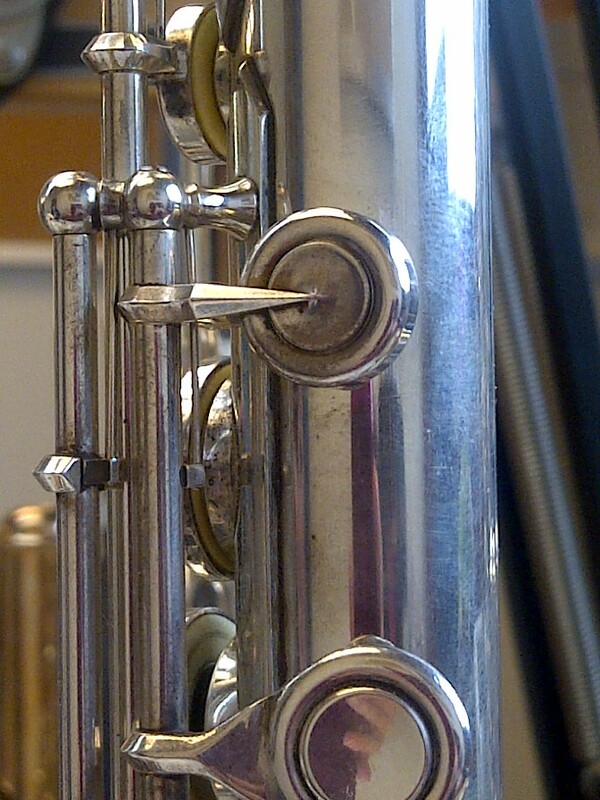 Well, unfortunately, the only safe way to do this is to send your flute to a repair technician. As tempting as it may be to want to run to the store and buy some silver polish -- or rummage through your household cleaners -- don't do it! Applying these polishes to your flute would be extremely detrimental as you risk damaging your pads and causing the mechanism to come out of adjustment. However, there are some ways to prevent tarnish. Most of the preventative measures are simple rules of good "flute hygiene" and cleanliness. Always make sure to swab out your flute after playing. Also, wipe your flute down to remove finger prints. A simple microfiber cloth is the best type to use for this. Unfortunately, some people have very acidic hands, which may become evident with excessive tarnish problems. In this particular case, preventative measures will help, but you may find yourself sending the flute for cleaning more frequently. 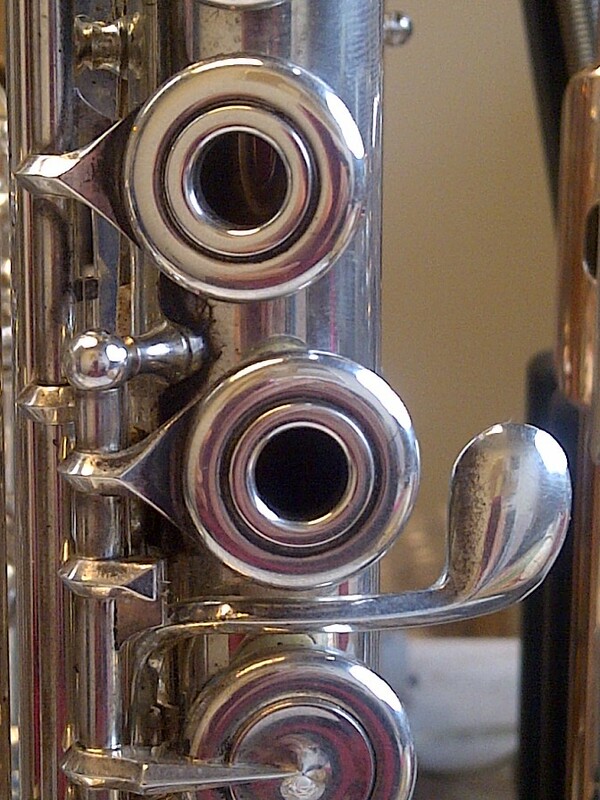 There is always an option to try flutes with different metal content. If your flute does become as tarnished as the one in the photos below, it is alright -- your repair technician will be happy to bring back its original shine! I have an auramite and after playing I sometimes swab but leave it on my peg for a few hours so I can come back again and play. The silver keys have some tarnish. Should I always put it in the case ? Hi -- thanks for the question. Leaving a flute out in the air does tend to quicken the tarnishing. Generally most people also have a tarnish inhibitor in their case which helps keep the flute tarnish free. Putting it back in the case would be best.